Something new is coming to south Palm Springs! Palm Springs is a lively resort town, attracting visitors wishing to escape the cold, and soak in the sun for decades. During the mid-century era, "mobile homes" became a desirable affordable 2nd home and retirement option. Multiple "Trailer Parks" were built throughout the city, most of them restricted for people aged 55 or over. 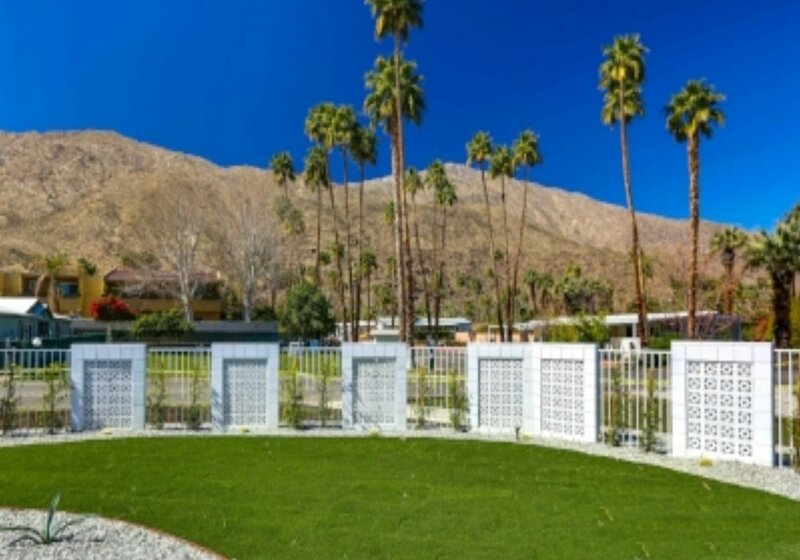 Although many have been demolished over the years, there are a few of the original Trailer Parks located in the desirable southern neighborhoods of Palm Springs. The Palm Canyon Mobile Club was originally built in the early 1960s and was known as one of the most prestigious Trailer Parks in town. The location is ideal- close to shopping, restaurants & bars, andoffers its residents some of the best mountains views around. The park was one of the rare few to allow all ages, not just seniors. In the past twenty years as some of the homes were neglected and fell into disrepair; many were removed from the park. Due to the uncertainty of the park's future, it virtually remained half empty for years. In late 2016, the master lease for the park was purchased, and the ground lease was extended 65 years, which provided security for the park's future. 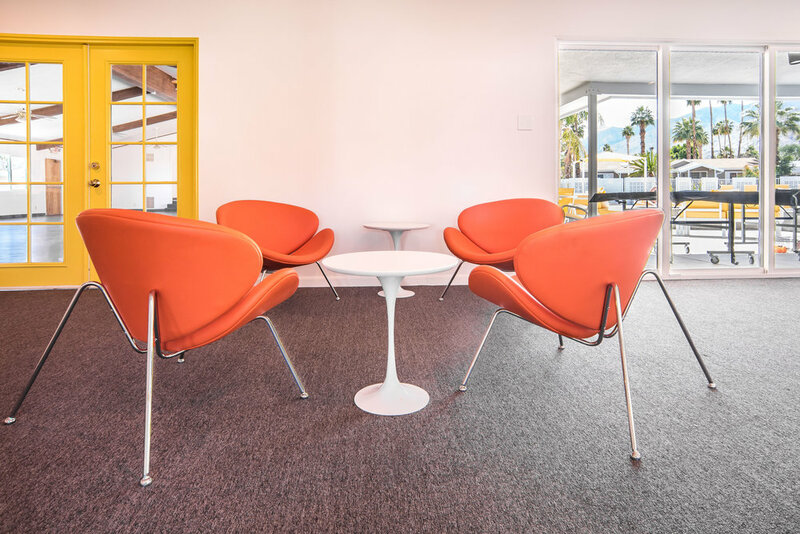 The new owners are bringing new life to Palm Springs Mobile Club.. Approximately 100 new homes will fill the vacant lots. 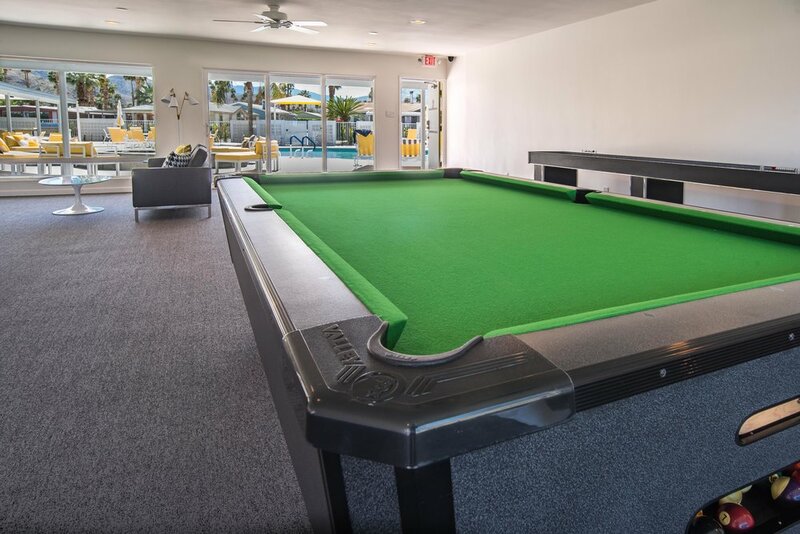 Additionally, there center of the community is "The Club," featuring an newly remodeled club house; updated resort style pool area which includes an outdoor fire pit and lounge areas, plus bbq area. A work-out room, pool table, plus updated poolside bathrooms and sitting areas are part of the club house features. Remodeled CLUBHOUSE coming soon! With workout room and community spaces. Located in south Palm Springs, PCMC offers convenient proximity to great dining, nightlife, shopping and outdoor activities including hiking and horseback riding.